In an Industry full of Duplicates, CLC is an Original! Since 1992, the Copier Liquidation Center, Inc. has helped maximize the profits of copier dealers nationwide by providing a cost effective alternative source for equipment. As Central New York’s oldest, largest, and most reliable copier wholesaler, we have built our business one customer at a time on a foundation of integrity. Our primary focus has always been customer satisfaction, and our repeat business is a direct result of our dedication to this goal. All our equipment is inspected and tested prior to being sold. It is then cleaned and wrapped before being shipped from our warehouse. When you purchase a copier from us, there won’t be any surprises. A 63% discount on freight ensures competitive rates nationwide. Dedicated Dealer Sales and Support. Copier Liquidation Center does not engage in any retail sales to the public. And our customers always receive the finest equipment available. Our 6,300 square foot warehouse allows us ample space to maintain a large inventory. 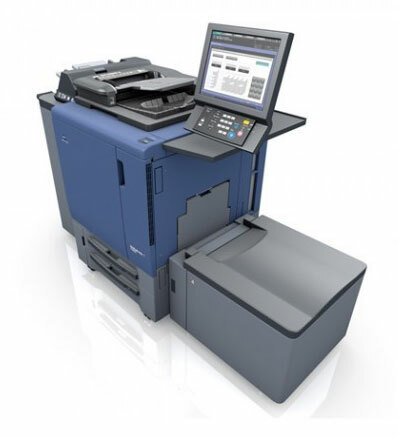 We work with most current makes and models, including digital copiers. We offer competitive pricing and unbeatable value. In addition, quantity discounts are available on large purchases. Check out our “Inventory Sheet” for the latest listing of available office copiers. Then give us a call at 800-834-4844. We’re sure you’ll like doing business with the Copier Liquidation Center, Inc. We stake our reputation on it. Copier Liquidation Center has the most reliable equipment from the top manufacturers in the industry. 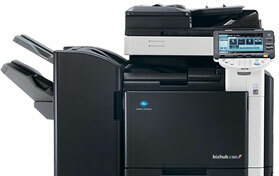 We carry Konica-Minolta, Hewlett Packard, Ricoh, Toshiba and more! Check out our complete list of off-lease and repossessed office machines. Looking for a particular model? Give us a call. We can help. If you have questions about specific models and availability, our support team is here to answer all your questions and help you find the copiers you are looking for. We have one of the highest customer satisfaction ratings in the industry, with over 26 years of in-depth experience and knowledge. 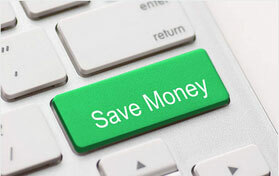 Copier Liquidation Center has the most competitive pricing anywhere. Whether you are looking to sell or buy off-lease or repossessed office copier equipment, we offer pricing you’ll fall in love with. Contact us today for a free quote and see for yourself.